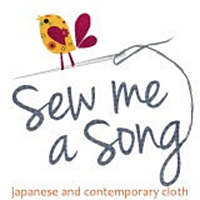 It’s time for another new pattern introduction featuring my new fabric collection, Improv. This is Triangle Toss! 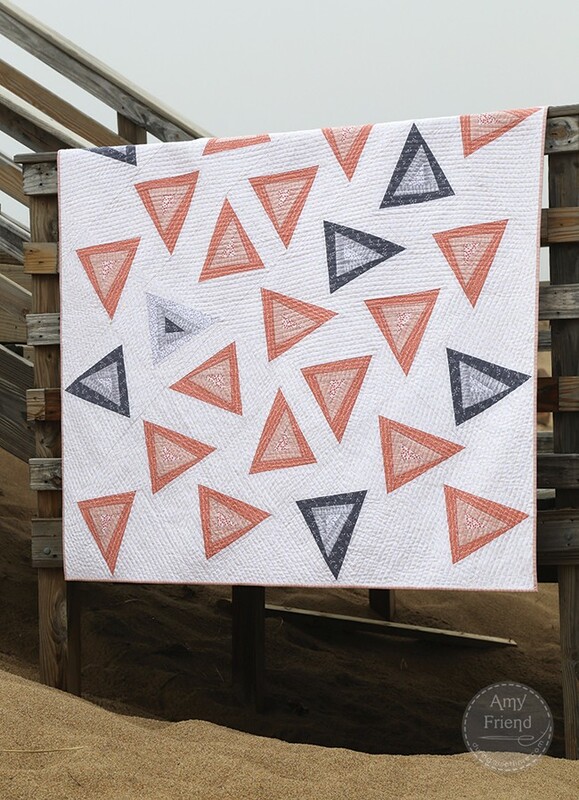 I love the way that the triangles appear so “tossed” and random in their placement yet it’s all constructed from one repeated, paper pieced block. I designed this pattern using the improv paper piecing techniques from my Improv Paper Piecing book. 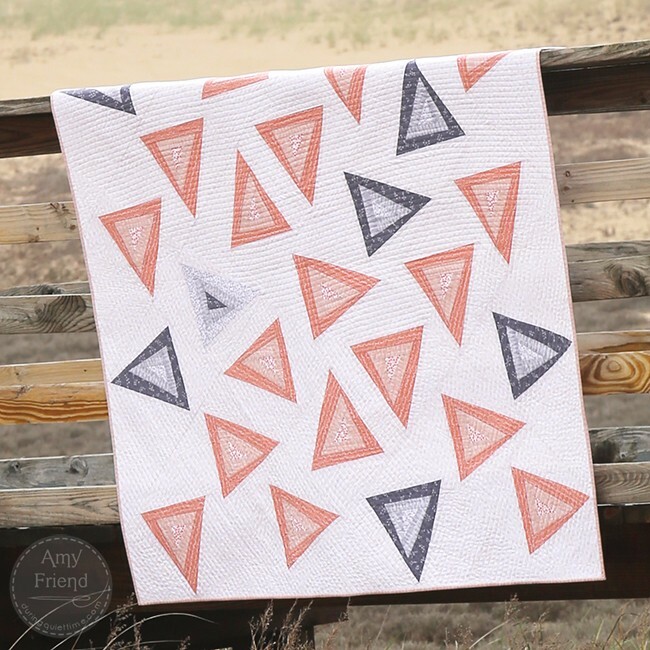 One of the designs in my fabric collection is a scattered, hand sketched triangle pattern. I drew my inspiration for this design from that print. I decided to break up my improv triangle in a wonky log cabin fashion. You can see the scattered triangle fabric design that I was referring to in the outer ring of this detail shot. I designed my prints to create gradients and this design makes use of that characteristic of the collection. While the majority of the triangles are a peach gradient, there are a few in gray and one odd-ball block that is a reverse gray gradient. All this play on color makes for an interesting design this is still minimalist and modern. The blocks are not only rotated but set on point. The combination of rotating some of the blocks and setting them on point, makes the design appear a lot more complicated than it is. 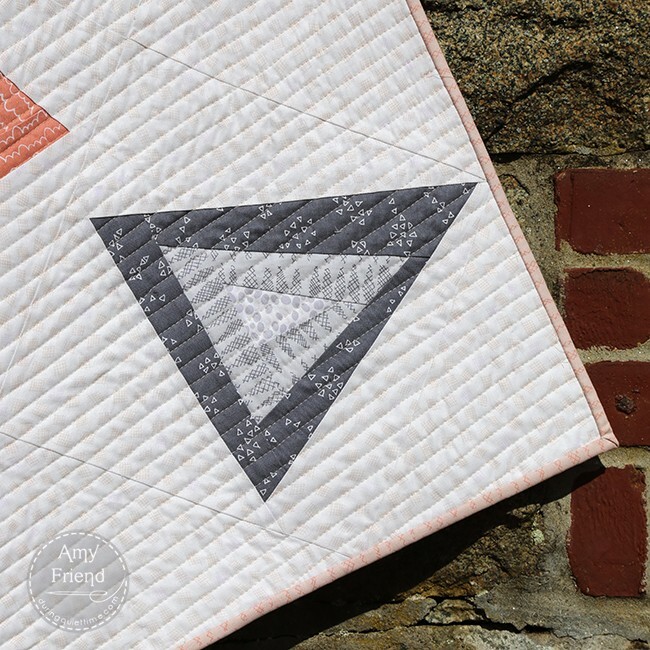 I quilted in Aurifil 2315, echoing one of the peach triangles on the right side of the quilt and carrying on to the outer edges of the quilt. 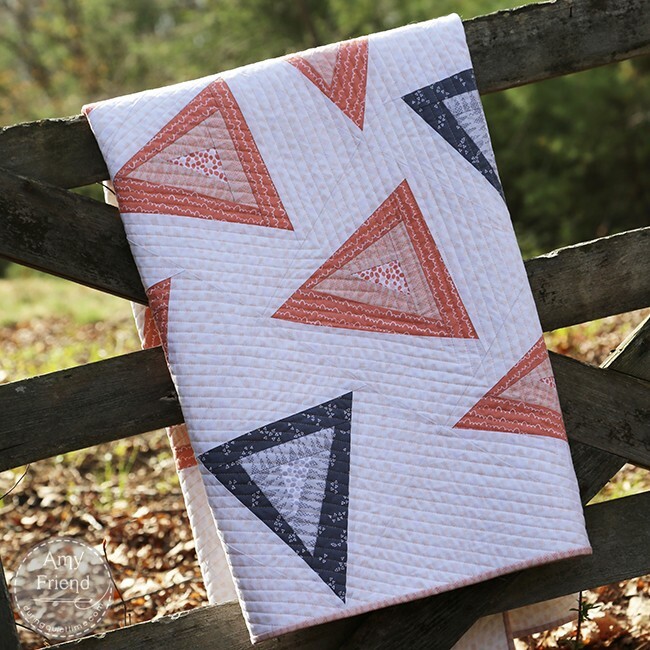 I’ve mocked this quilt up in another colorway and I will be sure to share that soon too. I can’t wait to see your version! The pattern is available as a pdf download in all my shops now and will be available in printed form by in mid May. I hope you like it!